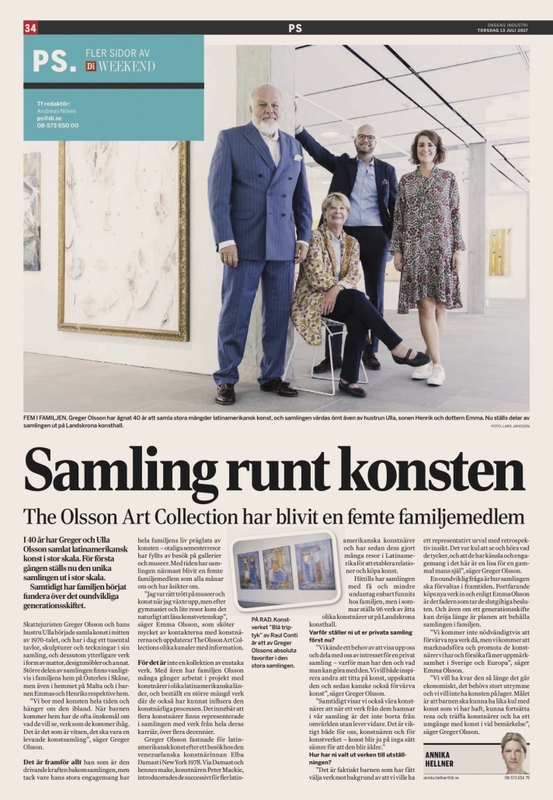 We were featured in Dagens Industri (the Swedish equivalent to Financial Times) earlier this summer in conjunction with our exhibition at Landskrona and it has been previously posted on our Facebook page and Instagram (for those of you who follow us – great! – for those of you who don’t: it’s @theolssonartcollection- look us up and start following!). So to start the week of right we gladly re-posted the article here as well – enjoy!